This is a fairly self explanatory step and many of you may already be familiar with what's available but just to make sure lets go thorough our main product categories and the options that accompany them. In Western culture the wedding ring is worn on the left hand between the middle finger and the pinky finger. 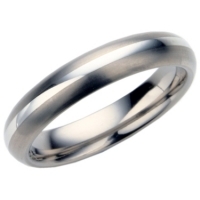 Plain wedding rings: Single alloy wedding rings with no diamonds or finishes. 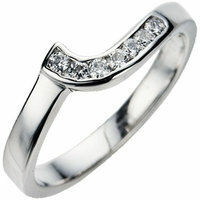 Diamond set wedding rings: Wedding rings with diamonds set into the metal, either singularly or in some sort of channel. 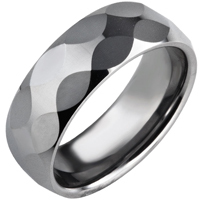 Multi color/Bi metal rings: Wedding rings that fuse two or more different alloys, resulting in an interesting finish. 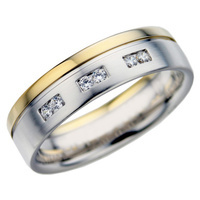 Decorative wedding rings: Wedding rings with different finishes. This could include a pattern or groove. 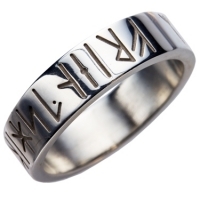 Welsh Gold and Celtic rings: Traditional Celtic style rings inspired the Norse traditions. 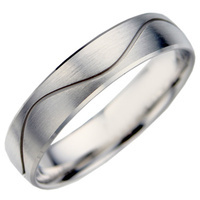 Shaped wedding rings: Wedding rings that are shaped to fit around the diamond of your engagement ring. 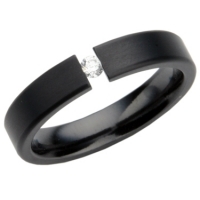 Wedding ring sets: A popular new trend in the US, these rings are made in pairs to match, with the men's being more masculine and the woman's more feminine and often set with diamonds. 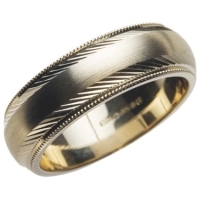 Men's wedding rings: A selection of wedding rings for men, made from hard wearing alloys with a more masculine look and feel that are much more scratch resistant than traditional alloys. In Western culture an engagement ring is offered to a woman by a man as a betrothal gift when proposing marriage. In parts of America and Canada it is becoming evermore popular for a woman to offer a return gift to a man, known as a promise ring or "mangagement" ring. 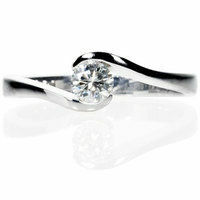 Engagement rings are typically identified by a prominent diamond or diamonds that nest in a setting. This setting then goes on to form the oval hollow, known as the shank. 5 and 7 stone engagement rings: 5 and 7 stones. Colored stone rings: any number of colored stones such as emerald, topaz, peridot, sapphire, tourmaline, and many more. Within these options there are different choices for the cut, carat, clarity and color of diamonds which we will cover in depth later. Eternity rings are identifiable by the large number of diamonds set into a channel around the ring, they come in half or full eternity styles depending on how far around the diamonds spread. 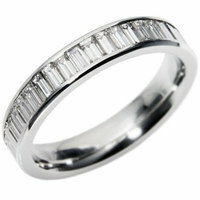 The reasons for giving a diamond eternity ring are by no means set in stone. Be it an anniversary, to mark the birth a child, renewal of vows, or mark another occasion, romance is always at the heart of it. As with eternity rings there is no specific occasion for buying any kind of diamond accessory but it is a gift that will last several lifetimes and often marks highlights in a couple's or individual's life.